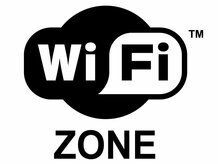 Beijing is to become the world's largest Wi-Fi city by 2011, according to reports. Residents of the Chinese capital will have access to free Wi-Fi in both the main city areas and the surrounding districts. The news was announced at the Wireless City Summit 2008, where Zhang Yu, Deputy Director of Beijing's Information Technology Office, revealed his Wi-Fi plans. Beijing's central business district was initially equipped for this year's Beijing Olympics, but a poor signal meant that many could not log on. The city does currently have a generous amount of free Wi-Fi spots, with one of Beijing's top universities, Tsinghua university, playing host to 500 hotspots. Pilot schemes in the districts of Xuanwu, Chongwen, Chaoyang, Shijingshan, Daxing and Pinggu are already in place, but this will be extended by 2011 to cover the whole of Beijing.